SLED , the abbreviation of Superluminescent Light Emitting Diode, is a device which inludes a optical waveleguide and an electrucally driven pn-junction that tend to become optically active and generate amplified spontaneous emission over a wide range of wavelengths in forward biase. So, it is safe to say that a SLED is similar to a laser diode, the only difference beteewen both is that SLED lacks optcial feedback to achive lasing action, but this can be overcomed through a tilting a waveguide and a anti-reflection coated facets. 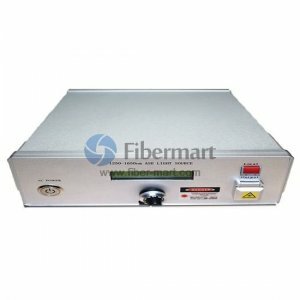 Fiber-Mart provides varies standards of SLED broad band light sources with high stability and reliability as well as a wide wavelength ranging from 650nm to 1650nm. 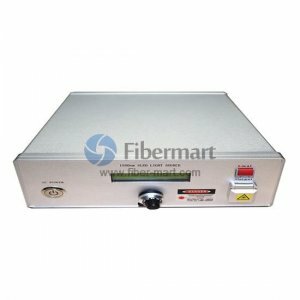 Fiber-Mart’s SLEDs have very rich application which includes fiber optical sensors, optical test instuments, biomedical imaging systems and spectrum analyses. Plus, vaires available output powers meet our customers different controls . In addition to our standard products, Fiber-Mart can also provides SLED devices with custom output power , custom optical performance as well as custom housing or fibers.